R55990 Rocket Spinal Manometers have been providing safe, reliable, cost effective CSF pressure measurement for over 20 years. This original Rocket design has become the standard diagnostic tool for CSF pressure measurement in every Emergency Unit, Neurological, Neurosurgical and Medical Ward. Carton: 1 x Rocket Spinal Manometer Set with 3 way stopcock, sterile, for single use, packed in cartons 40 sets. Rocket® Spinal Manometers have been providing safe, reliable, cost effective CSF pressure measurement for over 30 years. The unique ‘stackable’ design, original to Rocket, has become a standard neurological diagnostic tool and can be found in Emergency Departments, Neurological, Medical Wards and specialist Neurosurgery centres throughout the world. 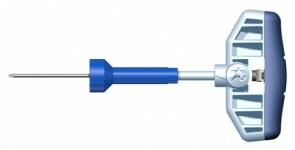 This original Rocket® design is now available with ISO80369-6 compliant NRFit™neuraxial connectors. NRFit™ is a trademark of GEDSA and used with permission. 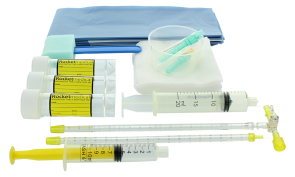 Rocket® Spinal Manometers and Lumbar Puncture Kits have been providing safe, reliable, cost effective CSF pressure measurement for over 30 years. 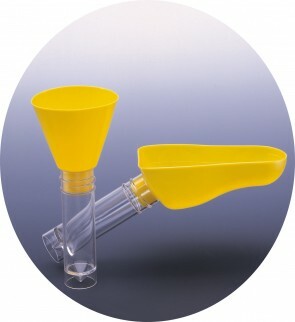 The unique ‘stackable’ design, original to Rocket, has become a standard neurological diagnostic tool and can be found in Emergency Departments, Neurological, Medical Wards and specialist Neurosurgery centres throughout the world. This original Rocket® design is now available with ISO80369-6 NRFit™ compliant connectors. Carton: 50 units, sterile, individually wrapped, single use.